The Digital Economy Promotion Agency (DEPA), United Overseas Bank (UOB), and The FinLab have signed a Memorandum of Understanding (MOU) to establish a Smart Business Transformation programme aimed at helping Thai SMEs with digital development. The Smart Business Transformation programme is the first of its kind in Thailand designed to help SMEs develop and deepen their digital capabilities. Through the programme, the SMEs will be able to tap into insights and practical guidance provided by DEPA, UOB (Thai) and The FinLab’s network of industry experts, mentors and technology leaders. 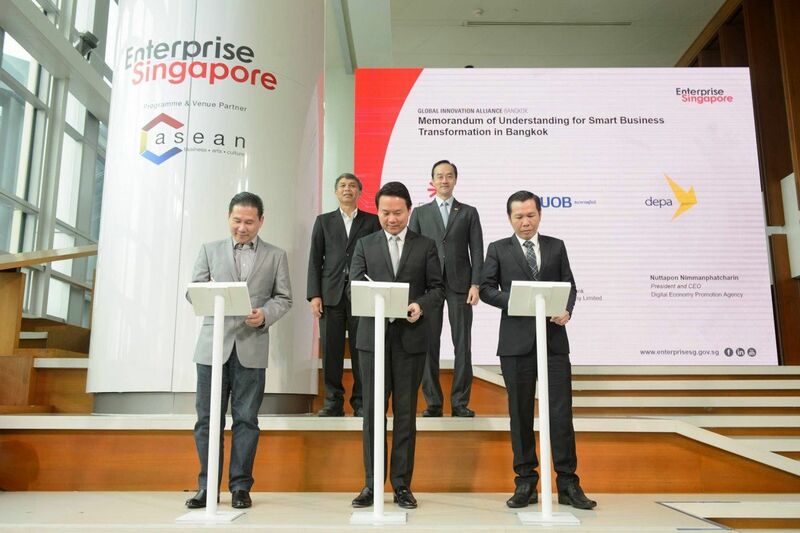 The DEPA recognises the increasing need and desire of Thai SMEs to plug into opportunities that have opened up in the region, by harnessing digital solutions. This is also in line with the recent Digital Government Plan 2017-2021 announced on March 8, whereby the Government aims to develop digital capabilities within all sectors, including agriculture, tourism, education, the medical profession, investment, disaster prevention and public administration, in order to drive economic and social progress.